Improve Overal Health and better sleep. Increase comfort, reduces pressure. May be Adapted To Adult Size as Well. 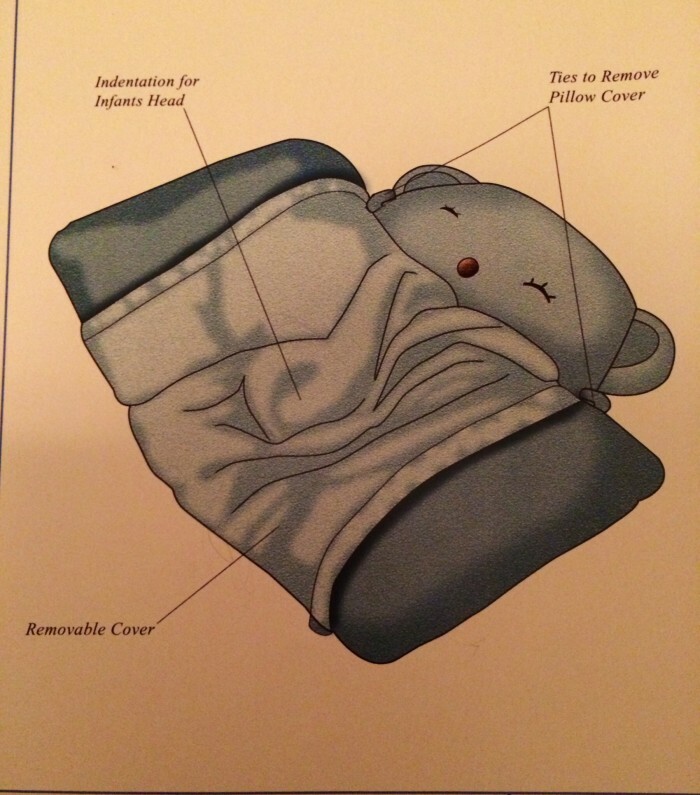 : Provide in center of pillow, cuddle and hold infant head, maintains head at proper relation to torso to KEEP AIRWAY UNOBSTRUCTED. May reduce chances of Sudden Infant Death Syndrom. Concave nature also forms and shapes infant's head; prevents flat spot. Pillow Case: Can be provided in many shapes and styles, removable and wshable. Material Construction: strong and durable, readily available material, Easy to Manufacture, Known Technology, Cost-Effective Design. I am looking for sale/license with royalties. 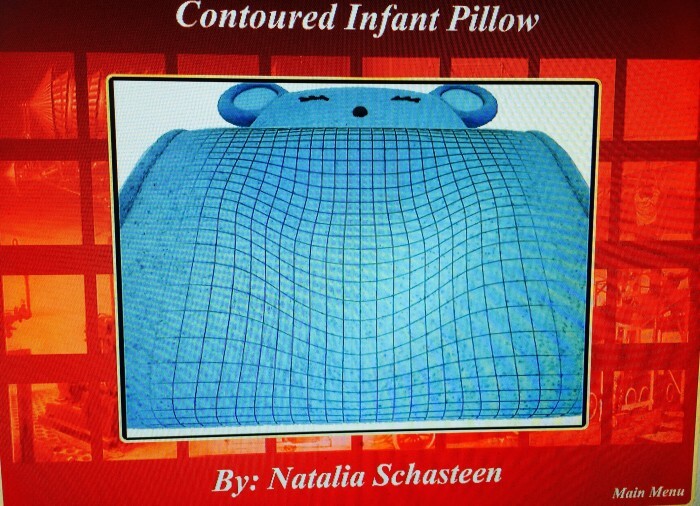 The relatively simple design of the invention and the material of construction make Contoured Infant Pillow a Cost-effective design due to the relatively low materiala cost involved. 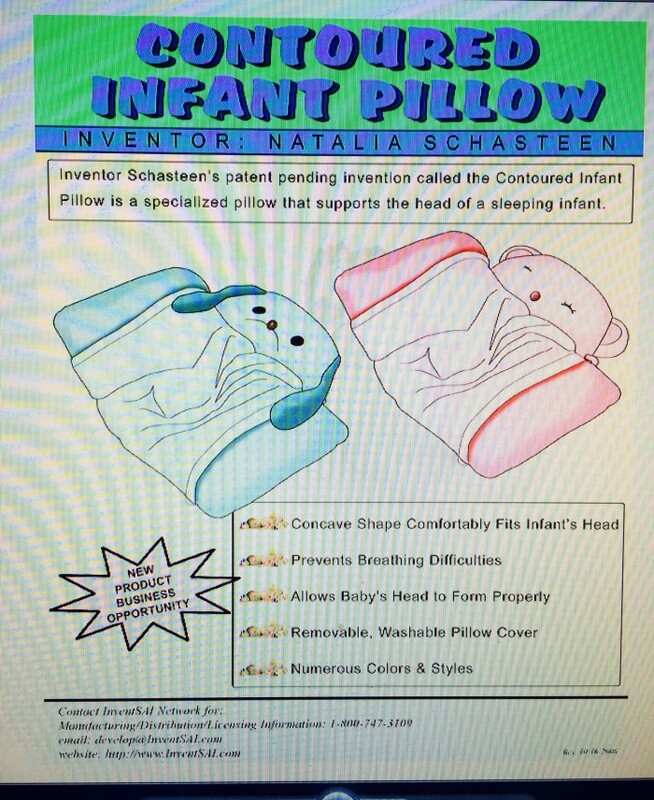 Manufacturung workers of average skill will perform final production of the Contoured Infant Pillow. According to current edition of Risk Managment Annual Statement Studies, manufacture will earn an avearge 33%, Wholesalers average 33%, and retailers earn gross profit of 33% on similar products. 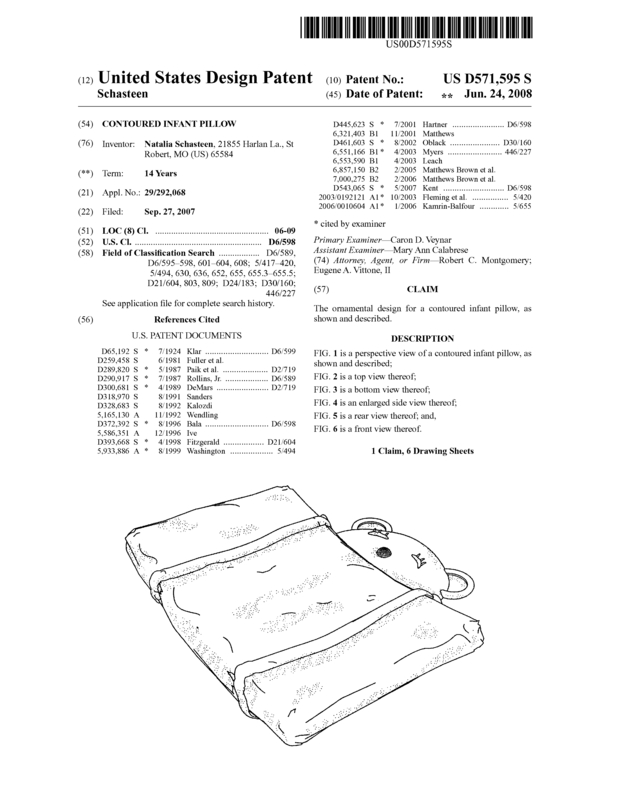 Page created at 2019-04-22 15:00:44, Patent Auction Time.